UNPO’s most recent CESCR submissions highlight numerous problems faced by our Members in Iran, Azerbaijan and Rwanda. 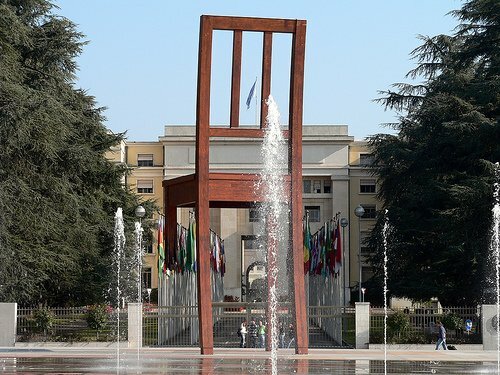 UNPO has recently submitted three reports on the occasion of the 50th Session of the Committee on Economic, Social and Cultural Rights due to take place in Geneva, from 29 April - 17 May 2013. The Committee holds a special mandate from UN to monitor the implementation of the International Covenant on Economic, Social and Cultural Rights. CESCR is composed of 18 experts, who meet twice a year for three weeks at a time. Reports submitted by UNPO show clearly that minority rights supported by the Covenant are endemically violated in these three countries. Examples of forced assimilation in all three countries are prevalent and our Members cannot practice their linguistic, cultural and religious customs without State-backed hindrance. Threats and persecutions of people standing up to regimented injustice are notoriously widespread. In Iran, Baloch, Kurds, Azeri and Ahwazi Arabs continue to face different degrees of restriction and discrimination. Policies to destabilize these minority communities and change the ethnic composition of the region they inhabit have raised serious concerns over the years. Regarding their rights to health care, housing, education and work, the situation remains delicate. Although each group faces different challenges, it is possible to say that regions with greater minority populations generally encounter higher unemployment rates, inferior health services and infrastructure, lower life expectancy rates and lack of educational institutions teaching their mother tongue. In Rwanda, The Batwa people, numbering around 35 000, face forced displacement from their native forest environment, which is turned into farmlands, without any compensation, making them the poorest and most disadvantaged population group in their native country. Most of them have no access to their former residences, resulting in them becoming squatters and beggars. They are not recognized as a minority by the Rwandan government and have to face ridicule and injustice on a daily basis. In Azerbaijan, ethnic minorities, such as the Lezghins, face forced assimilation through deliberate underestimation of their numbers. They are politically divided from their kin in Russia by borders and as they have minimal possibility to learn their native language, their cultural self-determination is in critical situation. There are also cases of persecution of Sunni population in general. Many thanks are omitted to different organizations of our Members themselves, who have worked diligently and systematically to present their cases. You can access the full reports by clicking on the link to it under "Attached Documents" in the right column.